For three days this May, Coreplan scientists have been gathered to discuss results and findings, visit a fishing business and meet the reference group. On May 14-16, Coreplan scientists from Nofima, UiT, NIKU and University of Ottawa were gathered in Tromsø. 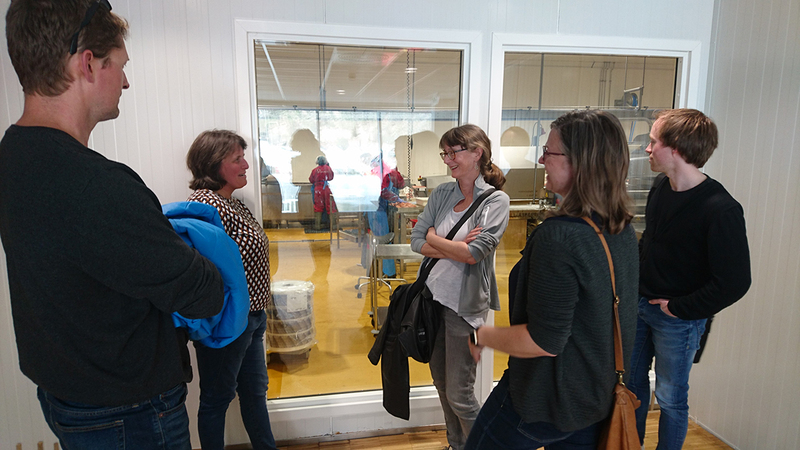 They visited the fishing business Brødrene Karlsen in Senja, where they learned about the role the business plays in the local community, and discussed challenges related to fisheries, aquaculture and other matters of interest related to the coastal zone. The results from their research is now beginning to take shape. During the research meeting, they presented their findings to each other, and received input from colleagues on how the results should best be understood and used. The reference group is comprised of representatives from the planning processes that are the subject of Coreplan’s research activities, as well as representatives from the fisheries and aquaculture industry, coastal zone management and policy as well as nature and outdoor life organizations. 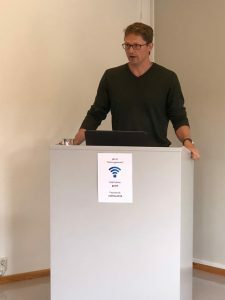 Among other things, the reference group heard Professor Nathan Young from the University of Ottawa talk about of the issue of conflict resolution in coastal zone management in Canada. He showed how local stakeholders in the coastal zone had actively addressed problems linked to salmon fisheries, in the absence of engagement by the national and regional authorities. Through establishing local forums, various groups of people fishing for wild salmon have created an arena for cooperation that reduces potential conflicts associated with salmon fisheries. Participants include commercial fishermen, indigenous groups and fishing tourism operators, and in some cases salmon farmers and local managers. The forums help ensure that all parties are heard and are informed of each others’ views, decisions are made based on consensus, and local stakeholders are strengthened in their dialogue with the authorities as a result of this cooperation. Nofima scientists Patrick Berg Sørdahl and Eirik Mikkelsen showed which interests and resources are considered to be particularly valuable and can be influenced by aquaculture ventures, based on the insights gained from the impact assessments (IAs) for the coastal zone planning for Midt- and Sør-Troms and the Tromsø region. They have also analysed which interests appear to have been emphasized when recommendations and policy decisions on proposed aquaculture areas were made by authorities and municipal councils, and how consistent they were in their balancing of interests. The municipal councils’ decisions for the Tromsø region went against the administrative recommendations for almost one in four of the proposed sites. Planners attending the meeting expressed how they find it very challenging to ascribe value to several of the various services, and also call for better methodology for processing the huge amounts of data being gathered. 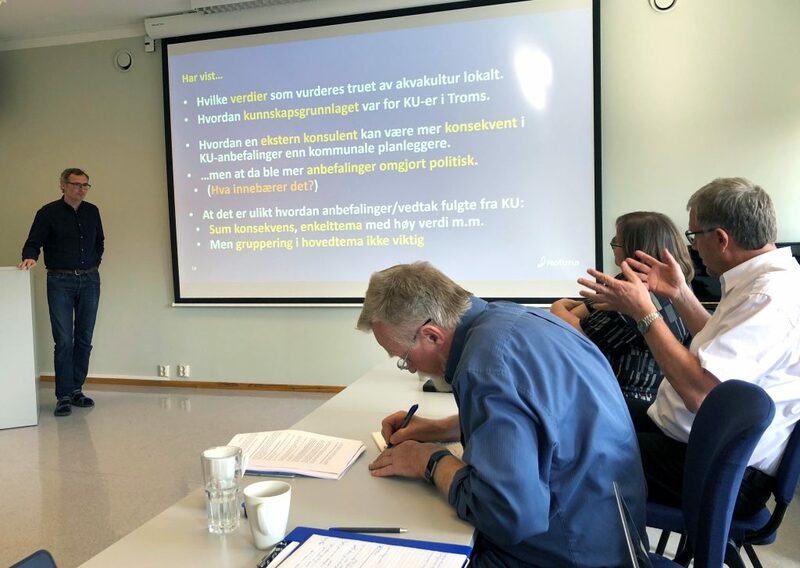 Bente Sundsvold and Claire Armstrong from UiT The Arctic University of Norway have investigated the consultative input given during hearings that were part of the planning process – who offers input during the hearing processes, and what is most important to them? They found that the majority of contributions come from locals and local stakeholders and organizations, and that many people are concerned about various aspects of fishing and fisheries, despite the fact that no professional fishermen participated in the consultation round. An overwhelming majority of the comments placed weight on cultural ecosystem services (related to things like recreation, identity, tradition and the like) and supporting services (related to things like spawning grounds and nesting sites). The planners confirmed that the access to data on these topics had been inadequate, and that the inputs provided by the locals and stakeholders were indeed read and taken into consideration – a piece of information that encouraged the commenting bodies present. – All in all, we are very well pleased with this session as part of our project. We have received a lot of useful feedback, and we appreciate the constructive collaboration we’ve had with the reference group, says acting project leader Ingrid Kvalvik.